Poulsbo, WA (October 2018)- Tim Ryan Construction, Inc. (TRC) is nearing completion of the much anticipated Centennial Building. The nearly 40,000 square foot mixed-use building will be home to several businesses including two restaurants, a liquor store, and a coworking space. Click here for an article published by the Kitsap Sun about the project. Port Townsend, WA (February 2018)- Tim Ryan Construction, Inc. (TRC) has completed an extensive renovation for Kitsap Bank. The project consisted of completely renovating an existing building that was once a Kentucky Fried Chicken and included demo, structural upgrades, new mechanical and electrical including the addition of solar panels, and extensive site upgrades. Click here for an article published by the Peninsula Daily News about the project. Port Orchard, WA (January 2018) - Tim Ryan Construction, Inc. (TRC) has completed the 12,000 square foot expansion of CHI Franciscan Medical Center’s Primary and Specialty Care suites in the South Kitsap Medical Center located at 450 South Kitsap Blvd, Port Orchard. The tenant improvement projected consisted of expanding the two clinics into the vacant spaces on both floors of the building. Poulsbo WA (May 2017) - Tim Ryan Construction, TRC, is breaking ground on its newest project, expected to transform the way people live, work and eat in Kitsap. Located adjacent to its corporate headquarters on 8th Ave, this mixed-use building is an exciting addition to Poulsbo. The two-story building with underground parking will house retail, office, restaurant and special event space creating a unique community gathering place. This building is scheduled to be the first private or public building in Poulsbo with the USGBC LEED credentials. The building boasts a beautiful, functional design meant to offer a means for people to explore the welcoming space and all it has to offer honoring sustainability and community. The project is on track for LEED certification by the United States Green Building Council by virtue of the very design elements that it naturally possesses. Using sustainable elements enhances the building design as well as the operational efficiency, and the impacts that they have on our community both now and long term are important to us. Tim Ryan Construction collaborated with Rice Fergus Miller, Inc to achieve a building design that meets the needs of the tenants and enhances the community. Sensitive to the adjacent properties, including a Poulsbo city park, the building was designed for visitors to enjoy the park as well as to enhance it. Using the property to showcase edible landscape plantings wherever possible will provide an opportunity for community members to gain an understanding of nature in an unprecedented manner. Easily accessible by foot, bus, bicycle or car, the building will be an attraction for both locals and visitors alike. “This new building is a family project, built for Tim Ryan Properties” said TRC President, Dan Ryan. “The lease spaces are designed for third generation family member businesses; ChocMo, High Spirits liquor store, Crabtree Kitchen & Bar and Vibe Coworks. As longtime residents of Kitsap County, the family is excited to bring this unique building as a lasting improvement to the community.” Construction is expected to be completed in early 2018. This is a long-time Kitsap County team with Rice Fergus Miller hitting the 30-year milestone in 2017. TRC is celebrating its 60th Anniversary this year and has had a hand in construction in Kitsap County since the early ‘70s. In particular, the company has had a huge impact on Poulsbo. The development of the Poulsbo Village Shopping center as well as the construction of the Poulsbo Village Medical Center, the former Union Bank Building, Poulsbo Athletic Club, West Sound Academy and numerous medical, dental, professional office and retail tenant improvements throughout Poulsbo have been performed by TRC. Tim Ryan Construction was awarded the Poulsbo Chamber of Commerce Business of the Year award in 2016 for its contributions to the community as a supporter of youth organizations, health and human services and the arts. Bremerton, WA (March 2017) - Tim Ryan Construction, Inc. (TRC) has completed the Mixed-Use Building located at 242 1st Street, Bremerton. The project consists of a newly constructed 5,400-square foot, 2-story facility with a Chung’s Express restaurant on the lower level, and three apartment units on the upper level. TRC worked closely with the project Architect, Rice Fergus Miller, on the challenges of building on such a small parcel in an extremely active area and was able to successfully meet the project goals. Located in downtown Bremerton directly across from the Bremerton Ferry Terminal and the Bremerton Shipyard, Chung’s Express will give commuters and locals, a place to eat some of their favorite Chung’s Teriyaki entrees as well as indulge in Banh Mi sandwiches with baguettes made fresh on site. 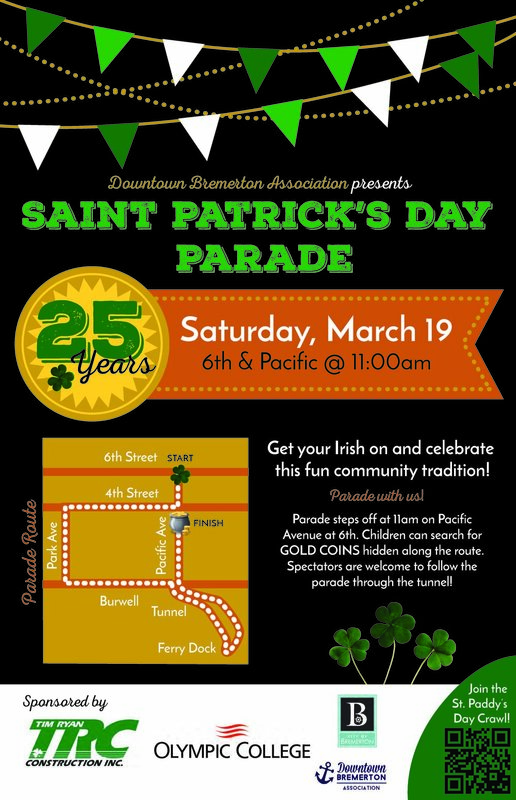 For more information click here for a great article posted by the Kitsap Sun. Poulsbo, WA (November 2016) - Tim Ryan Construction, Inc. (TRC) is celebrating its 60th anniversary in commercial construction. Back in 1957, after serving in the military, Tim Ryan started TRC with a tri-colored Buick Century Club Coop with 3 port holes, a ski rack, and a one-wheeled trailer as a means of making ends meet and providing for his family. Following his grandfather’s legacy in construction, his faith and persistence paid off in ways he could have only imagined. Today, TRC is a prominent General Contractor in Kitsap County. Tim’s legacy continues with sons, Dan and Kevin Ryan, and daughter Colleen Crabtree carrying on the same hardworking, trustworthy values that Tim, while somewhat retired, continues to model as key to success. Together the family management team provides over 120 years of construction experience along with degrees in business administration, construction management, and LEED certification. The original one man business has grown over the years to a team of 24 skilled and talented employees all working together in the best interest of the client building and improving a variety of commercial projects including but not limited to medical, financial, community oriented, and office. Our business philosophy at TRC remains unchanged, it is still based on the honor and commitment to a time when your handshake was your bond. There may be more paper involved today, but our beliefs are still the same; we create partnerships and a sense of community in doing business with our clients. Thank you to all the local community for continuing to trust us with your building dreams and needs. Tim Ryan Construction, Inc. completes the Kingston Community Center project. Kingston, WA (June 2016) - Tim Ryan Construction (TRC) has completed the construction of the Kingston Community Center owned by the Village Green Foundation. The targeted LEED Silver project includes a Boys & Girls Club, senior area, meeting and conference space, and a branch of the Kitsap Regional Library. The long awaited Village Green Community Center is now open to the public. The Center is located at 26159 Dulay Road NE, Kingston WA. 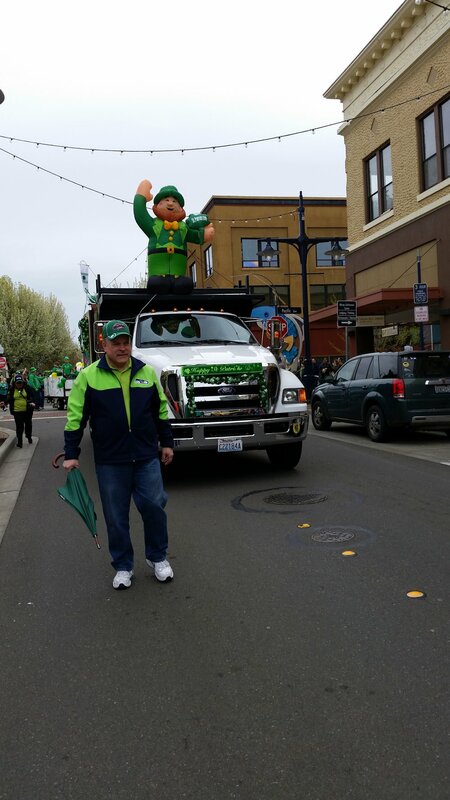 Bremerton, WA (March 2016)- Tim Ryan Construction celebrated the Downtown Bremerton Association's 25th annual St. Patrick's Day Parade. Bremerton, WA (February 2016)- Tim & Bev Ryan, owners of Tim Ryan Construction, Inc. donated $100,000 to Olympic College for nursing student scholarships. The funds will help provide scholarships to students for the next 10 years. Poulsbo, WA (January 2016)- Tim Ryan Construction received the Poulsbo Chamber of Commerce award for Business of the Year 2015. The award was presented to the company at their annual awards gala. President of TRC, Dan Ryan accepted the award along with his brother Vice President, Kevin Ryan and sister Colleen Crabtree, Secretary/Treasurer. Silverdale, WA (December 2015)- Tim Ryan Construction, Inc. (TRC) has completed the facade renovations to The Clear Creek Centre located at 10516 Silverdale Way. Home to several businesses, the newly designed façade project entailed new siding on both buildings giving it a sleek updated look, glass canopy throughout, all new signage, and a redesigned 35-foot center tower that replaced the iconic clock with programmable LED lighting designed by our own Dan Ryan. Poulsbo, WA (November 2015)- Tim Ryan Properties has pledged $100,000 dollars to the Morrow Mannor Project as a challenge gift to match funds raised for the domestic violence shelter after September 2015. Bremerton, WA (October 2015)- Tim & Bev Ryan, owners of Tim Ryan Construction has pledged $100,000 dollars to the Marvin Williams Youth Center Project as well as hosted a fundraiser dinner at their home. Construction of the 18,000 square foot recreational facility named after NBA star and Bremerton native Marvin Williams is set to start in early 2016.